James Marston Fitch co-founded the Graduate School of Historic Preservation at Columbia University, the first of its kind in the United States. The Columbia University program helped create a new class of preservation professionals by standardizing their training and education. Fitch famously defined historic preservation as “the curatorial management of the built world” (in a 1982 book by the same name). 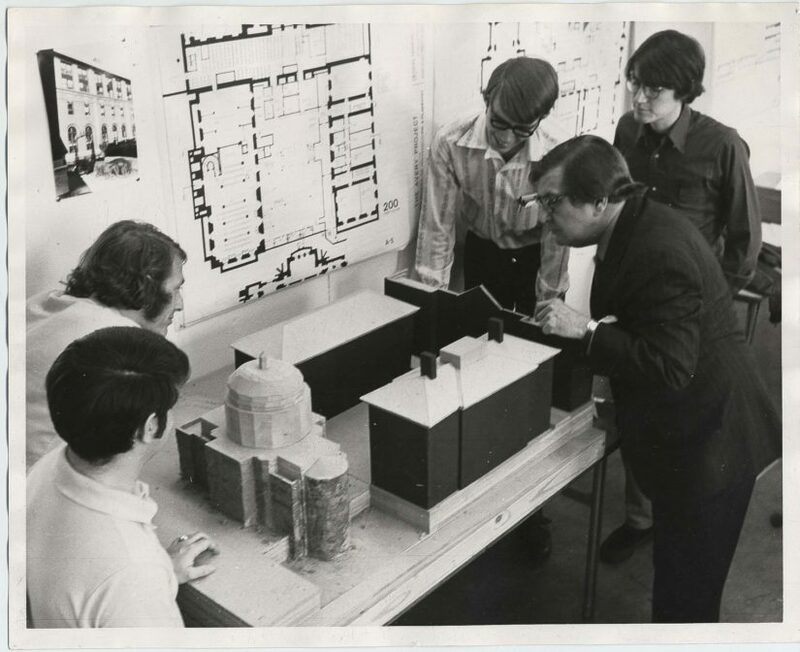 In 1979, Fitch left Columbia to become director of historic preservation at the renowned architecture firm of Beyer Blinder Belle. Fitch oversaw the firm’s involvement in restoration projects such as South Street Seaport, Ellis Island, and Grand Central Terminal. He also traveled widely, lecturing on preservation around the world. He also established the preservation program at the University of Pennsylvania. “About: James Marston Fitch,” James Marston Fitch Charitable Foundation. Article retrieved 12 March 2016. David W. Dunlap, “James Marston Fitch, 90, Architect and Preservationist,” The New York Times, 12 April, 2000. “C250 Celebrates Columbians Ahead Of Their Time: James Marston Fitch,” Columbia250. Article retrieved 12 March 2016.